Stewardess Maddie Peters got pretty stuffy when she threw a tray of drinks over an airplane passenger. Normally something to get nightmares from, but certainly if the soaked air traveler is none other than your top boss. 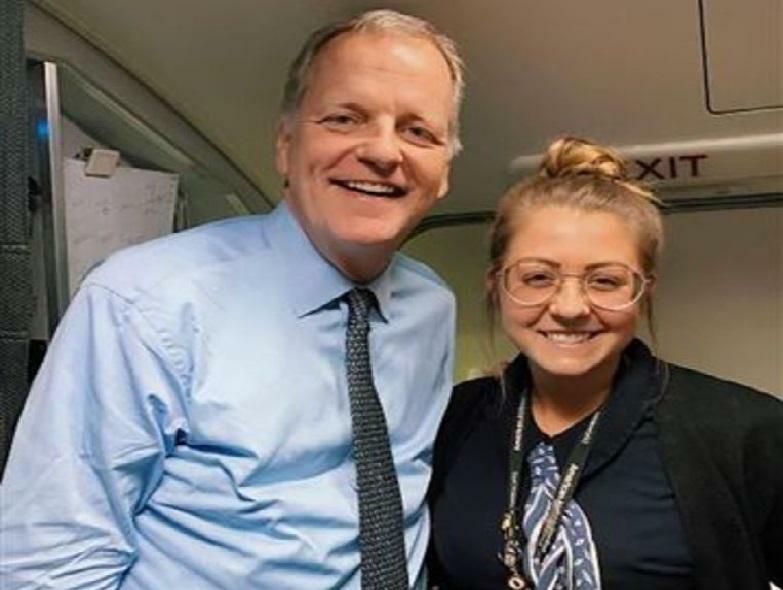 “Guess who she got over him,” continues Maddie Peters the American Airlines flight attendant. “Half went over me, the other half ended up in Doug’s lap!” Maddie was nailed to the ground. “I would have preferred to have died on the spot,” she still writes with a bit of shock. 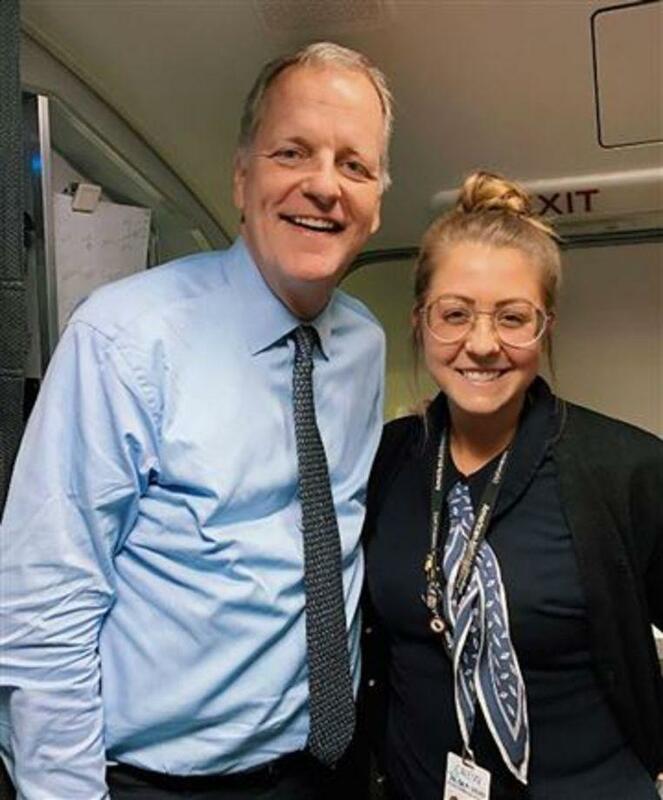 ©Instagram/Maddie Peters – CEO of American Airlines Doug Parker and flight attendant Maddie Peters.